We love it here, so will you! The Boardwalk Bendigo; a place to enjoy great coffee, exceptional food and second to none service. Situated on Bendigo’s beautiful Lake Weeroona, we offer one of the most breath-taking views in Central Victoria. Whether you’re a Sunday breakfast regular, or you’re just stopping for lunch on your way through town, you’ll be sure to leave The Boardwalk Bendigo feeling satisfied, smiling and relaxed. Oh, and did we mentioned that we love dogs? Our resident Labrador, Chino, loves to make friends, so your four-legged pals are more than welcome too! so give us a call on (03) 5443 9855 to make a reservation. Check out our mind-blowing menu below. Any menu item, any time of day! The Boardwalk Bendigo knows how to throw a party. We are experts in party planning, so you can rest assured that your next celebration will be a success! Head on over to our functions page for more information about our affordable function packages and booking Central Victoria’s loveliest lake side restaurant for your next event. Dreaming of a waterfront wedding reception in stunning Central Victoria? 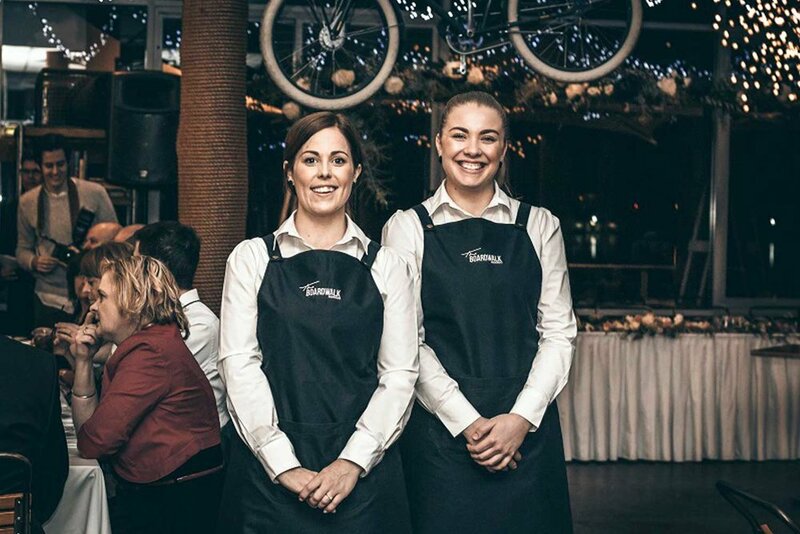 The Boardwalk Bendigo is everything you need and more in a reception venue. We provide a relaxed, personalised service and are committed to making everything about your wedding day uniquely you! We would love to play a part in helping you get hitched, so check out our weddings page for more information about our delicious meal, canape and beverage packages.